Interested in having your child attend St. Nicholas Cathedral School for an excellent, well-rounded education? See why our students are ranking higher than peer schools and attending Chicagoland’s most elite public, private, and college preparatory high schools. Learn more about our full-day PreK 3 and 4 year-old program. The Admissions Process link on the left will provide you with information on our admissions and enrollment policies. Come Join us for our weekly “Coffee Break” every Monday from 8:00 am – 8:15 am. Meet our principal, Ms.Cirilli. 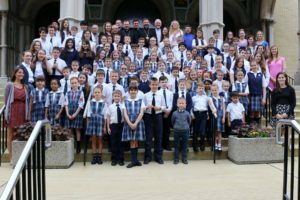 We welcome you to join the St. Nicholas family and become a part of our spiritual, academic, and social community!